By: Vlado Pavlik Mangools blog SEO New to SEO? Start with these 9 SEO metrics! New to SEO? 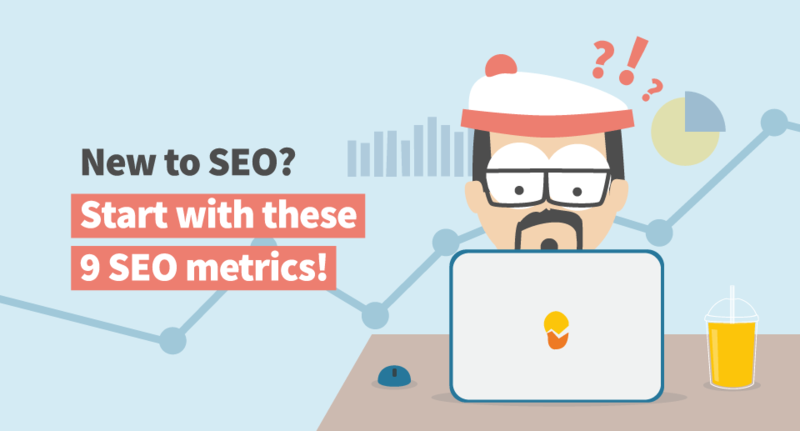 Start with these 9 SEO metrics! Search engine optimization is a complex process. There are several factors that influence the success and several SEO metrics that can be measured to track these factors. For most people, it is impossible to keep track of all the changes, but one should have a basic overview of what’s going on with his website in order to succeed in the competitive world of the internet. Let’s take a look at the 9 most important SEO metrics every website owner should track to measure the SEO success. Organic traffic refers to all the visitors that come to your website or blog from the search engines. It does not include the paid PPC ads. We may say that higher organic traffic is the ultimate goal of the search engine optimization, so it is good to regularly track the progress in order to know whether your SEO efforts are successful or not. To find the overall organic traffic that comes to your web, you need to go to your Google Analytics account and navigate to Acquisition > All traffic > Channels > Organic Search. Tip: Are you new to Google Analytics? Head over to our basics of Google Analytics in the SEOpedia. If you want to check the performance and popularity of your landing pages, the best way is to analyze the organic traffic coming to the individual landing pages. Just go to Behaviour > Site Content > Landing Pages and select the Organic traffic segment. The path to landing pages organic traffic data in Google Analytics. Tip: To see the progress, you can compare the data week to week, month to month or year to year. If the traffic is seasonal, the best practice is to compare the data from the same month a year ago. Bounce rate is an SEO metric that shows the number of single-page sessions, in other words – how many people left your web without taking any action (visiting another page, signing in to a newsletter, etc.). 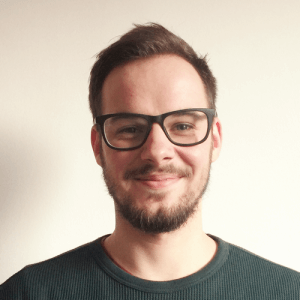 Is high bounce rate a bad thing? It depends solely on the main purpose of the page. A high bounce rate of a checkout page is a much bigger problem than a high bounce rate of the page with the company contact info. For example, a 75-80% bounce rate of a blog post is actually nothing terrible as it simply indicates that people came to the article, read it and left, which is a totally natural behavior. As bounce rate doesn’t consider time the visitor spent on a page, it doesn’t necessarily mean that he didn’t find what he needed. Of course, it would be great if they clicked on other articles too (and you can consider the UX improvements in this matter) but you can’t always influence that. Tip: Do you know how exactly the bounce rate is calculated and how you can optimize it? Head over to our CTR basics article in the SEOpedia. Besides the fact that this SEO metric is very relative in terms of the good/bad results, the numbers can also differ based on the industry/niche of your website as well as the source of the traffic. You can compare the bounce rates of your landing pages, analyze why some perform better than the others and use the same pattern to lower the bounce rate on the pages that do not perform well. Tip: To make the comparison of the bounce rates fair, compare similar types of pages (e.g. blog post to blog post, product page to product page, etc.). Now that you have analyzed people that bounced, let’s take a look at those who visit more pages on your web. Pages per session is an SEO metric that shows how many pages a user visited within one session on average (one session is set to 30 minutes by default). Unlike time on site and average session duration metrics, which are heavily influenced by the lack of data for the exit pages (Google Analytics is not able to measure when the visitor left your site), pages per session are quite an accurate SEO metric and a great indicator of the overall engagement of the visitors. In some cases, however, a high number of pages per session may indicate that the user was not able to find what he was looking for. That is why it is good to check the Behaviour flow in Google Analytics to see what exact paths the users take when visiting your website. Key takeaway: Look at the pages per session metric realistically, do not expect to have a high ratio if you have a 3-page web. If the higher pages per sessions are desirable, think about the improvements you can do to engage your visitors (related products, related articles, relevant internal linking, etc.). Organic click-through rate (CTR) is a proportion of clicks in relation to the impressions in the SERP (how many people see your website in the search results divided by how many people clicked on your website). CTR is often an overlooked metric when it comes to the SEO, as everyone seems to focus on rankings. Although the CTR depends strongly on the position in the SERP, there is still some room for you to maneuver in terms of better performance by selecting the correct URL and editing the title tag and meta description of your page. The average CTR of your website can be found in Google Search Console under Search analytics. Similarly to the SEO metrics mentioned before, you can analyze your best-performing pages and try to improve the CTR for the pages that perform worse. 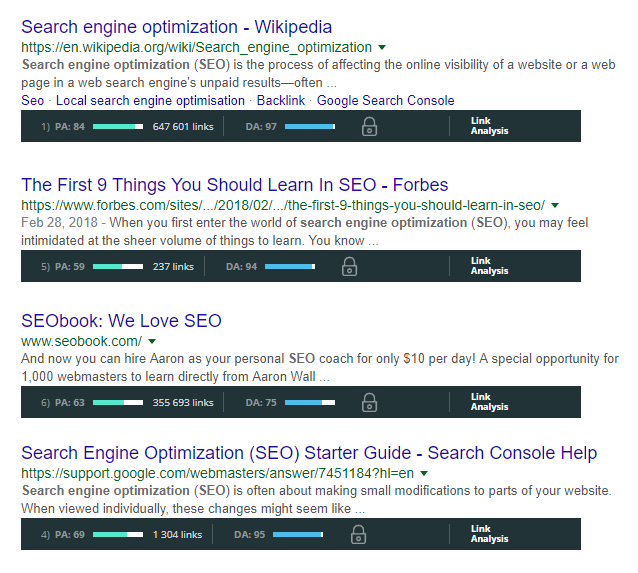 Don’t be afraid to experiment with your meta title and meta description tags. Test new things and see what works the best. Tip: When changing the title and description, you should always consider all the keywords you rank for as the CTR optimization can improve the results for one keyword but perform worse in other SERPs. Now that we covered the essential engagement metrics, let’s move to the “branded SEO metrics” that focus on the overall authority of the page and try to predict its success in comparison to other websites. The Domain authority and Page authority SEO metrics were developed by Moz to measure the authority (or, the ability to rank in the SERP) of the website on a scale from 1 to 100. As there is a natural need to have a metric that helps to quickly evaluate the authority of the website, DA and PA have become very popular SEO metrics over the years and replaced the PageRank metric used for this purpose in the past. And now that Moz has updated the backlink index, DA and PA are much more time-sensitive than they used to be. In other words, there is no good or bad DA/PA value. 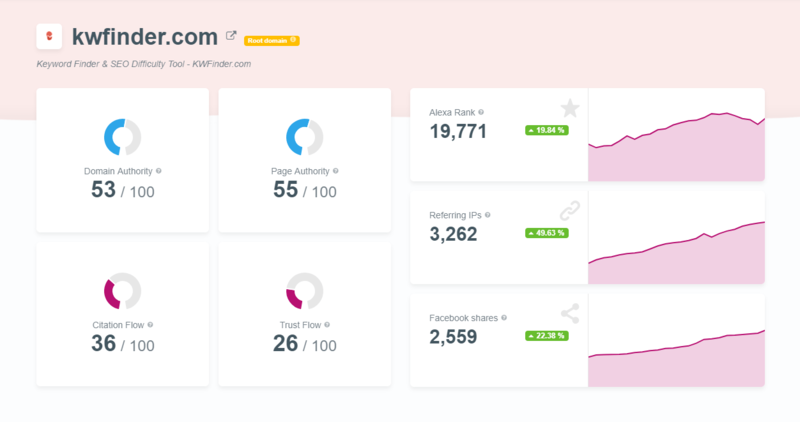 The best (and actually the only correct) way is to use DA and PA as relative metrics to compare the authority of your site with your competitors. Tip: When it comes to the evaluation of a backlink, you should focus mainly on the Page Authority as the link equity is passed from the specific page, not the domain. It is a common misconception to talk about “a backlink from a web with DA 50” even though the mentioned link is from a specific blog post with low page authority. The difference between these two SEO metrics is obvious from the name. They are calculated the same way but the Domain Authority considers the whole domain while Page Authority reflects the ranking strength of a specific page. Another well-known duo of “branded metrics” is Trust Flow and Citation Flow by Majestic. Similarly to DA and PA, Citation Flow and Trust Flow metrics are based on the backlinks pointing to a specific website and are expressed on a 100-point scale. The Citation Flow refers to the number of backlinks pointing to a website – therefore, it indicates the popularity of the website in terms of the quantity of the backlinks. The Trust Flow, on the other hand, indicates the quality of these backlinks, based on the link proximity to the trusted websites (manually reviewed by Majestic). In other words, the backlinks from trustworthy websites increase the Trust Flow of your website. That is why it is quite seldom that the Trust Flow has a higher value than the Citation Flow, as there are many backlinks but not all of them are of high authority. With these two metrics you can easily calculate the “trust ratio” of the page by dividing the TF with CF (e.g. TF 20 / CF 30 = 0.66). You should aim for the highest possible number, 1 being awesome and values above 1 totally phenomenal. Tip: Trust ratio may be a great metric when evaluating potential link prospects. No one wants a backlink from an untrustworthy website. If the Trust Flow is significantly lower than the Citation Flow, the link profile probably consists of many low-quality backlinks. Should you care? Well, it depends. In general, low-quality backlinks should not impact your website negatively as long as they were not built deliberately by you. However, if you did try your luck by using low-quality links to improve your rankings, your website may get a manual action (also known as a penalty) by Google. If you’ve been wandering around SEO for a while, you’ve probably come across the claims like “SEO is no longer about being the first”. Well, many SEO beginners focus solely on ranking at the first place in the Google SERP. Although there is nothing wrong with good rankings, as with everything, the devil lies in the details. Let me explain on an example. Imagine you rank #1 for a keyword that brings you the traffic of 20 unique visitors a day. And at the same time, you rank #6 for a keyword that brings you 200 new visitors each day. Of course, the second keyword is more valuable to you, even if you never reach higher position than #6. That is why you should never focus only on individual rankings but on the overall dominance in the SERPs you want to rank in. Tip: Use the SERPWatcher’s Dominance Index to measure the share of the organic traffic based on the rankings as well as the search volume of the tracked keyword. Another thing you need to consider is the type of the content you want to rank for. Google is becoming better and better in recognizing the user’s intent and your type of content (e.g. a product page) may not be able to rank for certain queries at all (especially informational queries), even if it is topically relevant. b)Try to get to the SERP in some other way, which may include PPC ads, Quora answers, reviews, etc. 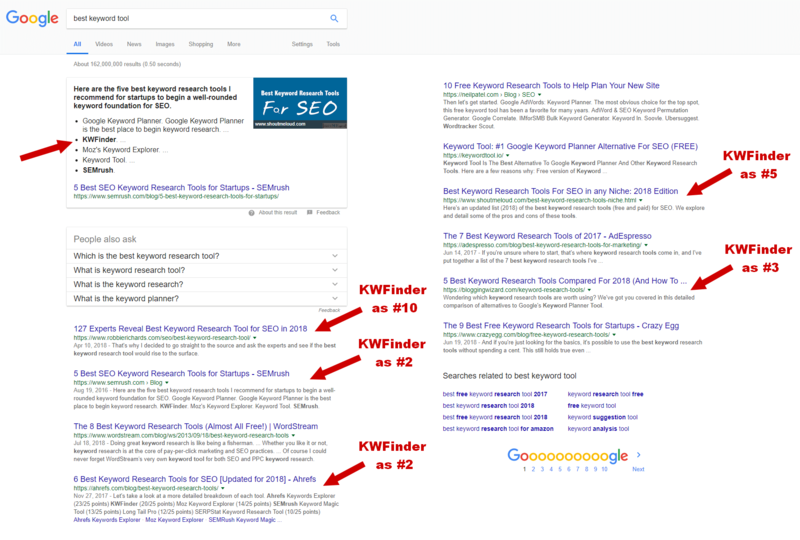 Luckily for us, the example SERP looks quite favorably for KWFinder and it is represented quite well without actually ranking with any page. That is why the SERP dominance is a better metric to follow than the specific rankings, although it may be harder to measure exactly. When it comes to the number of backlinks pointing to your website, nothing looks better than a nice, big number representing all the backlinks. For the purposes of growth tracking, however, the number of referring domains is much better and more representative metric. It is very simple – the overall backlinks count includes site-wide links that skew the results and may change the numbers rapidly without reflecting on the actual quality of the links. In reality, a website with 10 backlinks from 10 different domains may be more authoritative than a website with 50 backlinks from 5 domains in the eyes of the search engines. So next time you check the number of your competitor’s backlinks and the number will discourage you, don’t forget to check the number of referring domains rather than the overall number. To be even more precise about how many different entities link to a website, we can look at the number of referring IP addresses or referring subnets. Tip: Remember that quality is much more important than quantity when it comes to link building. One backlink from an authoritative website is much more valuable than hundreds of low-quality backlinks which may do you more harm than good. With page speed being a ranking factor for both desktop and mobile searches in Google, it is very important to consider this SEO metric. 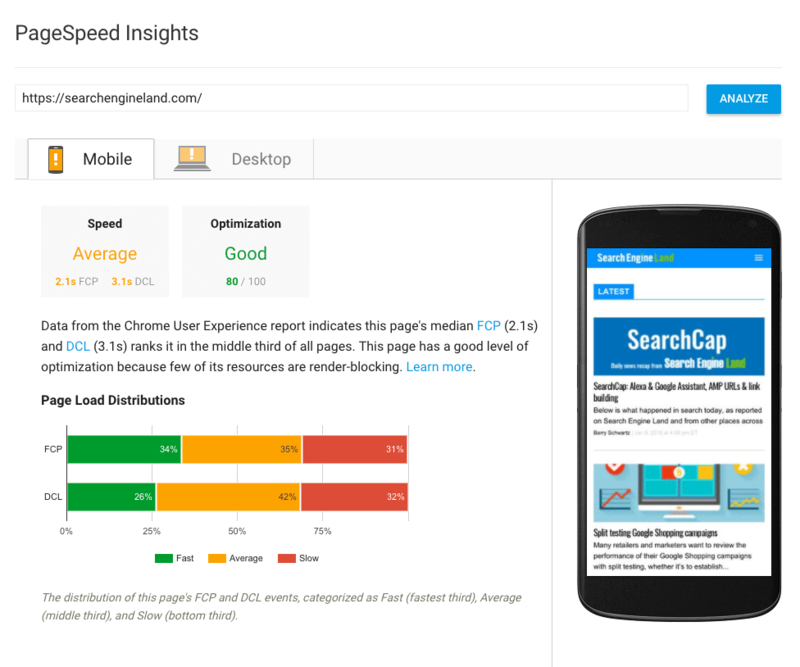 The best way to test your site is via Google PageSpeed Insights. Not only does it score your website, but it also suggests the improvements that can be done in case the result is not as good as it should be. The article about the speed in mobile search from the official Google Webmaster blog states that “the intent of the search query is still a very strong signal, so a slow page may still rank highly if it has great, relevant content”. Therefore, only the slowest pages are negatively affected. Of course, the page speed is not only an SEO metric but it also influences the user experience to a great extent. It is a known fact that the probability of a visitor leaving the web prematurely due to slow loading grows significantly if the page loads longer than 3 seconds. If you want to track your site speed over time or filter the page speed by the devices, use Google Analytics. Key takeaway: Don’t freak out about milliseconds. Improve as much as you can but don’t forget that faster site won’t bring you higher rankings if the content is not relevant and great. The SEO metrics I mentioned in this article are just the tip of the iceberg. However, if you are new to SEO, it is good to focus on a couple of the most relevant metrics. Let us know how do you measure your SEO activities and what SEO metrics are your favorite indicators of success.